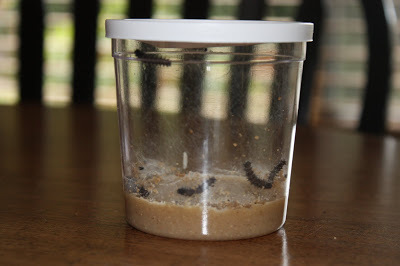 For the past 15 years I’ve purchased baby caterpillars to observe with my students. 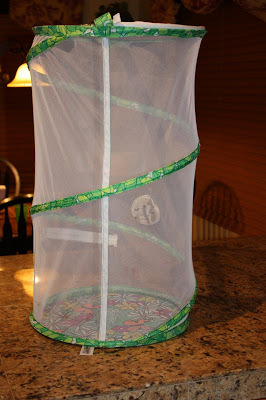 When my son turned 3 I started bringing this activity home. So, every summer we buy our container of caterpillars from Insectlore (online catalog). 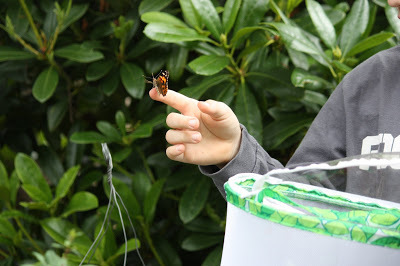 When the container arrives in the mail, the kids are full of excitement. The caterpillars are tiny. 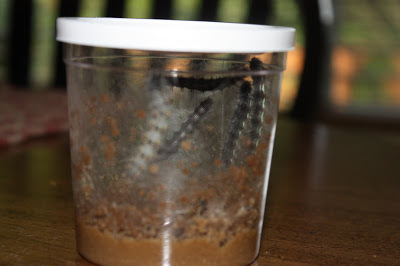 There is a layer of caterpillar food on the bottom of the container. Then it starts to get disgusting. 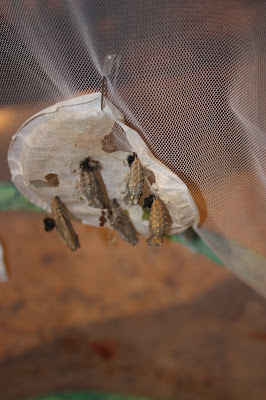 The caterpillars were so cute when they were tiny. 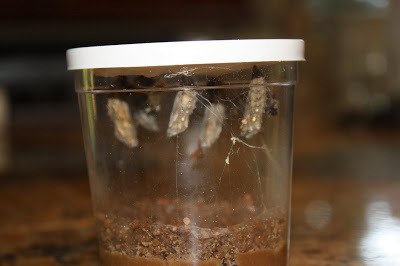 When they get bigger, they leave poop all over the container and in the food. It’s just plain gross. Stick with me. I promise the miracle will happen soon. Pretty soon the caterpillars start to hang upside down and a chrysalis forms around them. 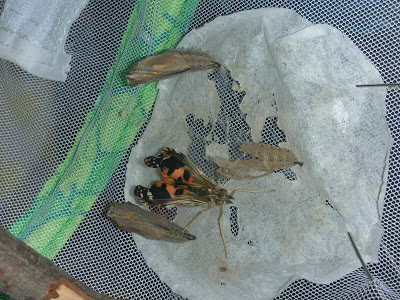 Then, I moved them over to the butterfly home. 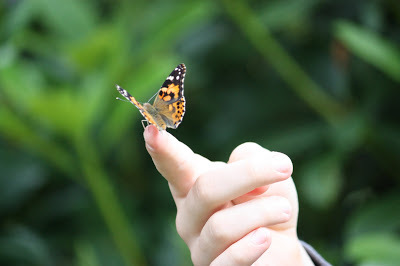 When the butterflies first emerge, their wings are crumpled. 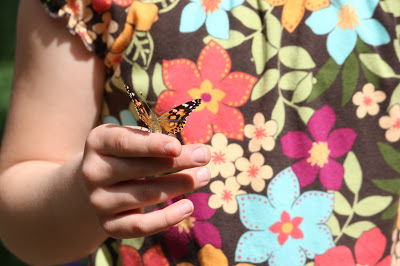 The dye from their wings looks like blood, but I usually just explain to the kids that it’s like paint for the Painted Lady Butterfly’s wings. It really is like watching a miracle. 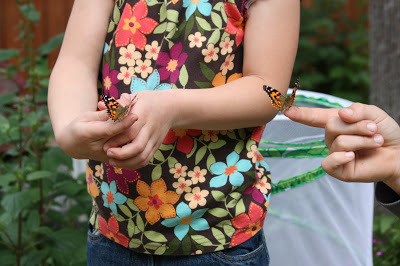 It never gets old and the kids absolutely love releasing their butterflies into the garden. 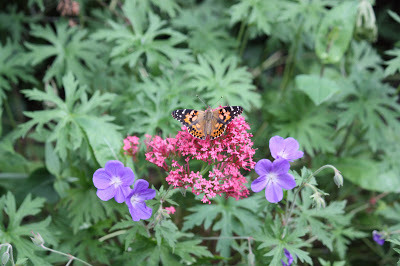 It’s magic, watching our ordinary miracle.